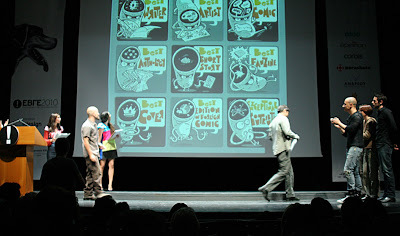 I had a great time in last April which was full of various facts and events. 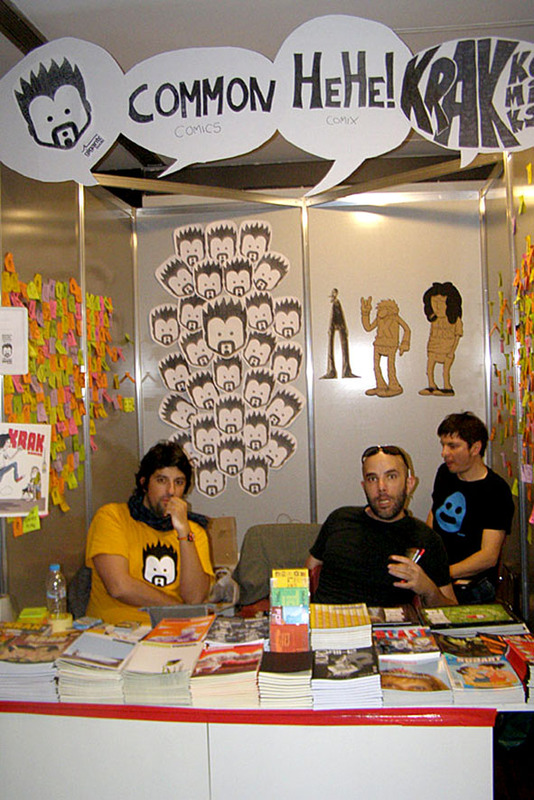 The first one was the publishing of HEHE! 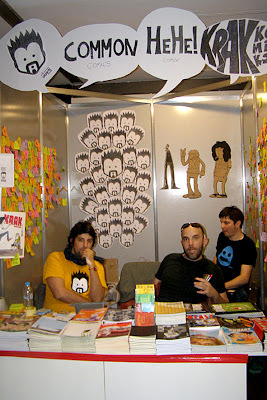 by the Giganto Books and it presented at Comicdom Con Athens 2010. 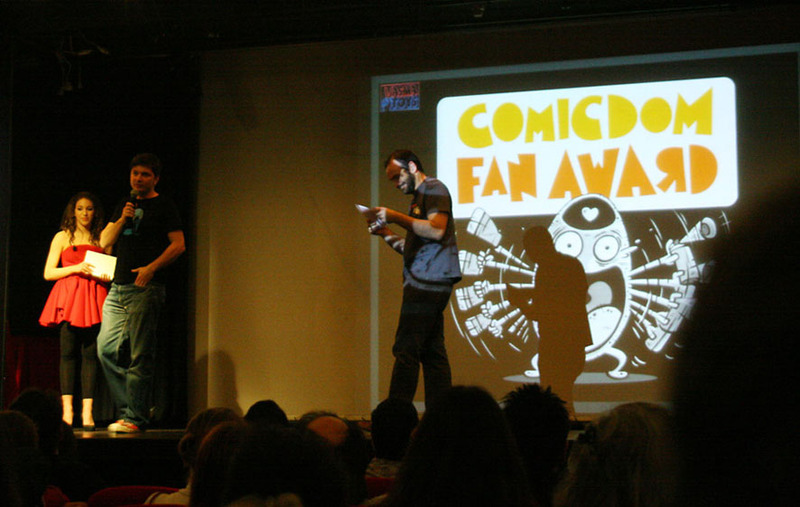 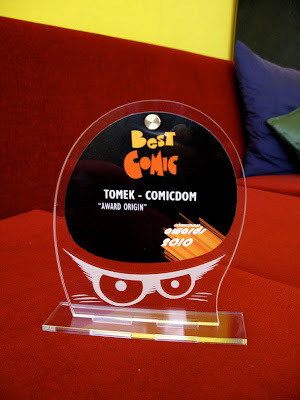 Also I did the illustrations for the site of Comicdom Awards and I designed also the statuette for them. 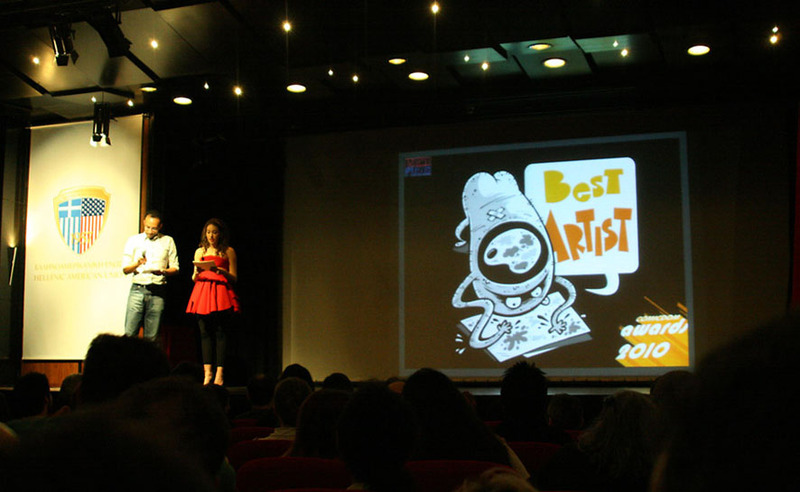 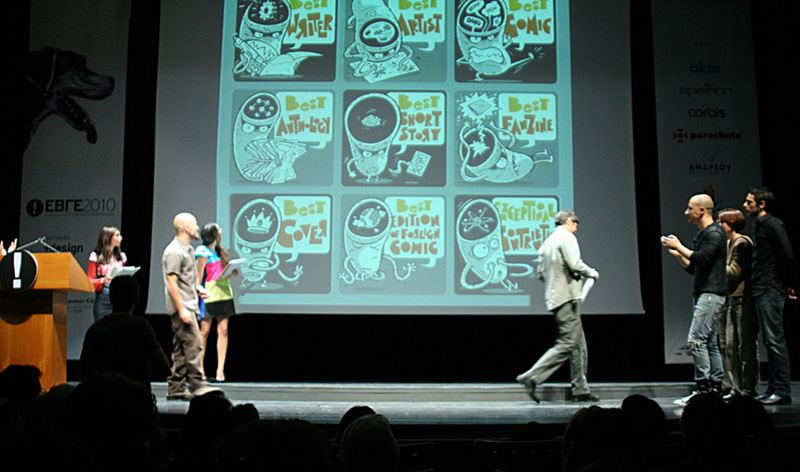 That weekend I received two merits at EGBE 2010 Awards for illustrations of "Comicdom Awards" and "The 700 Machines". 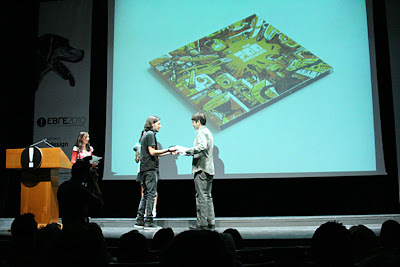 I posted here some photos from those events. 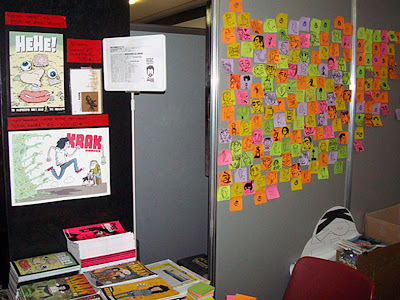 For more details you could check my previous posts and the links above.